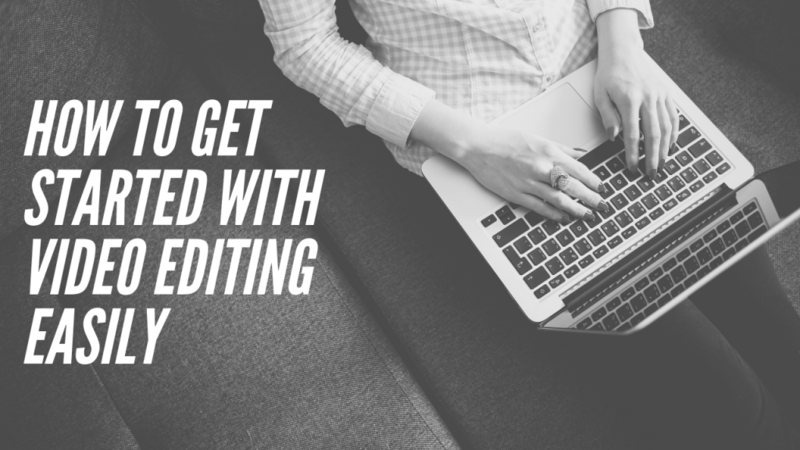 Are you trying to edit a video for the first time (or close to it) and finding it difficult? Although you may be using a relatively user-friendly editor, editing videos can still be quite daunting. Most video editors nowadays use a timeline-based structure that makes it easy to split, trim, and merge videos. Assuming yours does as well, you can start by trying to split your video into segments by positioning a marker at a specific point then selecting the split button. After you know how to split videos, you should be able to isolate segments and trim them out of your video fairly easily. Similarly, when you add and merge other videos together you can arrange them in the way that you want. In lots of cases, the color balance of videos may be a little bit off due to the lighting that it was recorded in. If it is severe it may even give the video a blue or orange tint. That can be corrected in video editors by adjusting the white balance. Most editors have an automated feature that will let you do so in a single click, though you may want to play around with the manual settings as well to get a feel for them. Another automated feature that you should take advantage of is the stabilization tool in your editor. It will essentially help to fix any shaky video footage and make it smoother. Generally, you don’t need to do much to use it and just need to select it and apply it to your video. Some editors may have a setting that you can adjust based on how shaky the video actually is and how much correction is required. The crop tool will let you remove a part of your video adjacent to its frame, and essentially let you re-frame the video. It is a useful tool to learn because it will let you adjust the aspect ratio of your videos, ‘zoom in’ and turn shots into close-ups or improve the composition. If you want to try improving the composition, use the rule of thirds in conjunction with techniques such as the rule of thirds or golden ratio. By starting with the tools listed above, getting into video editing should be a lot easier, though it will help if you’re using a user-friendly editor as well. For example, you may want to try Movavi Video Editor as it is intuitive and you can even speed up your videos with the steps at https://www.movavi.com/support/how-to/how-to-speed-up-video.html. All said and done you should think of the steps described above as a stepping stone that will let you get started on the right foot. From that point, you can begin to familiarize yourself with the rest of the tools in the editor you’re using and see how they can be used to improve your videos.